tanya, 09 Oct 2010hi folks can anbody tell me does it have motion sensor as the older cookie have, can u put ur... moreno man it does nt have motion sensor..... neither UI autio rotate feature ....!!! valentino, 10 Oct 2010hi guys, please tell me what site can i download themes, games, applications for this phone... moreno themes supported in this phone gamin wallpapers and ringtones...visit zedge or mobile9 .com....enjoy...!!! please tell me what site can i download themes, games, applications for this phone? can anbody tell me does it have motion sensor as the older cookie have, can u put ur choice of wallpapers? is it better than corby? parth, 01 Oct 2010does it has an accelerometer? ?What is the exact video specification so that the video will fit the whole screen horizontally (QWERTY view)? I mean blablabla x blablabla resolution. Anonymous, 28 Sep 2010MilanM must work for Format Factory - this program doesn't work as he explained - I tried his ... moreFormat factory works with WQVGA (400x240) resolution and you can even crop (resize) the video if the aspect ration is not 400:240. I have converted two full length Divx movies and they play well on Cookie fresh. DVD videos are often segmented, if they have 3 or four clips for a full length movie and one fails to covert (it hangs) then you lose the while movie, Often there are bugs on pirated DVDs, and it may be so that you fail to fully convert a particulat clip. 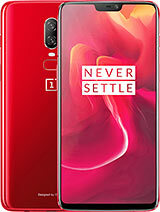 this phone is very good and has some unique features which r not availabe in Nokia n Samsung mobile fones of comparable prices.But it has only 2 mega pic camera and one intersesting game is present , while others r downdoadable. Anonymous, 07 Oct 2010i want this fone but dont no if its good!!! i got this fon..and its very light ,,easy to use..very comfortable...i really really love this..rather in my corby.. Anonymous, 07 Oct 2010i want this fone but dont no if its good!!! This phone is good. but i'll recommend you to go for nokia 5233. This phone is good, But instead of this phone Go for nokia 5233 or 5230. Nokia 5233's price is 6500 RS and it is much better. the camera quality as compared to corby and cookie fresh is much better and clear. 5233 records video @30fps (VGA) but cookie fresh and corby records video @15fps (QVGA). You can install thousands of apps on 5233, 5233 supports 16 million colours. i want this fone but dont no if its good!!! Cookie fresh or samsung champ. Who is the best in music, external speakar loudness & tuch sentivity? hey...this is nice touch phone at very low price..better than samsung corby. Any of you guys know a site from I can dwnld a game for this cell specifically & more importantly Safely (without virus/hanging)? anyone know how this phone's music quality is compared to the renoir? ?